The year for Ann Arbor Real Estate came to a close with fewer sales than the previous year. Inventory was lower as well. This can be directly attributed to reduced inventory throughout the whole year, which lead to reduced sales. A lack of inventory continues to be a problem for Ann Arbor and our buyer’s agents are still reporting having a large amount of qualified home buyers with no homes available to sell them. When a great listing does come up, multiple offers are submitted and the competition is stiff. 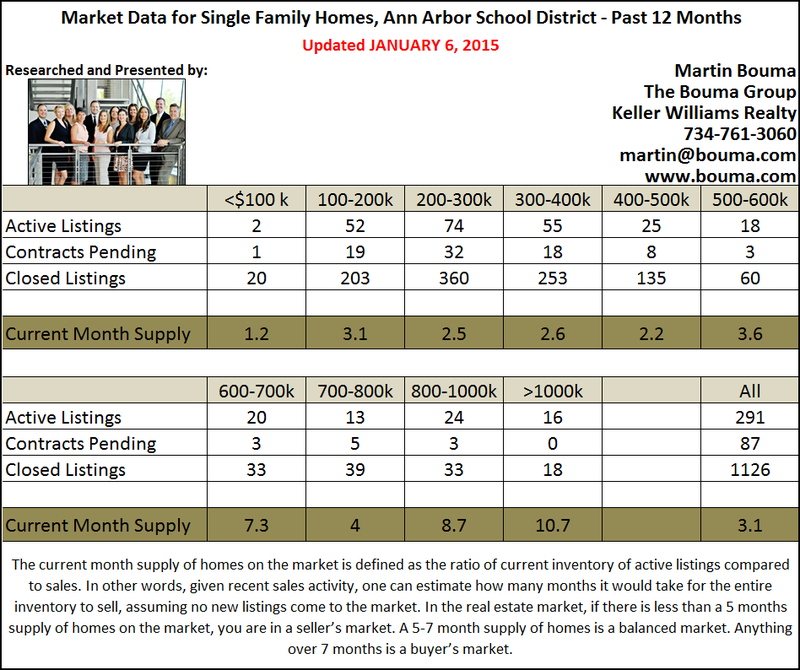 With that being said, NOW is a fantastic time to get your Ann Arbor home listed for sale! The competition in the marketplace has driven home prices steadily upward. Your home is most likely worth more than you think! Contact us today at 734-761-3060 or info@bouma.com to find out the value of your home, don’t wait until the spring market when inventory will rise. The Bouma Group has been Ann Arbor’s premier home seller for more than 13 years and knows real estate better than anyone. Ready to go? Click here to list your home now!